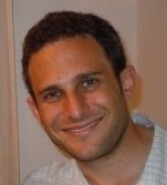 Daniel Fink is an Israel-based energy and commodities analyst. He has worked in both the public and private sector including Roubini Global Economics and the Washington Institute for Near East Policy. He holds an M.A. in International Economics and Policy from the Johns Hopkins School for Advanced International Studies (SAIS). Drilldown: Is Blue-and-White Oil on the Way? Forget about natural gas. Israel is sitting on hundreds of billions of barrels of oil—or so it is often said.